I have officially begun the last part of my chemotherapy treatment!! The early morning requirement to get the port ready for treatment was less daunting because I was glad to be halfway through with Taxotere. I had a scheduled visit with the Oncologist prior to chemotherapy, but still went through my normal round of checking in and blood work procedures. I was thrilled that there were no issues with being poked or prodded. 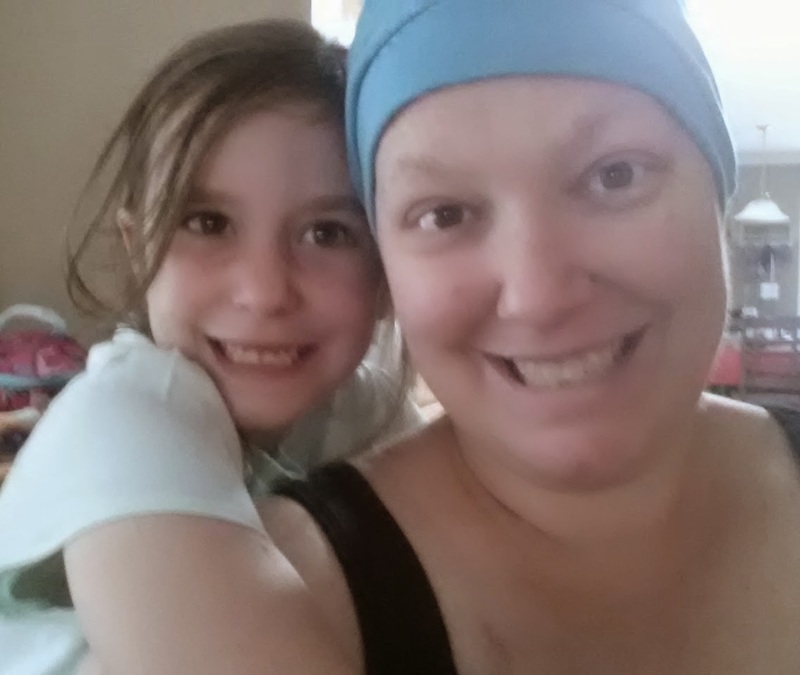 I was even more thrilled to have my chemo-buddy on hand to help pass the time as we waited for the doctor. Any time I have a scheduled visit that requires being seen, I can expect to be much longer than normal. A lot more sitting and waiting! The Oncologist visit was quick. I was not as prepared as I should be, I was writing things down on the drive over. I went through my list of complaints, medicinal needs, and general questions. Overall, I was hanging tough through treatment. Especially since I have been sick for the past few weeks. My lymph node was still swollen and I felt pretty bad, but it seemed to be something that they were not too worried about. It seemed having a cold during chemo meant that the cold would linger on way past a normal healing time. On a new note, I was going to get a CT scan soon to see how the mass had been progressing... or hopefully shrinking!! I was once again going to go back for some more testing in the near future, but the CT was super easy. 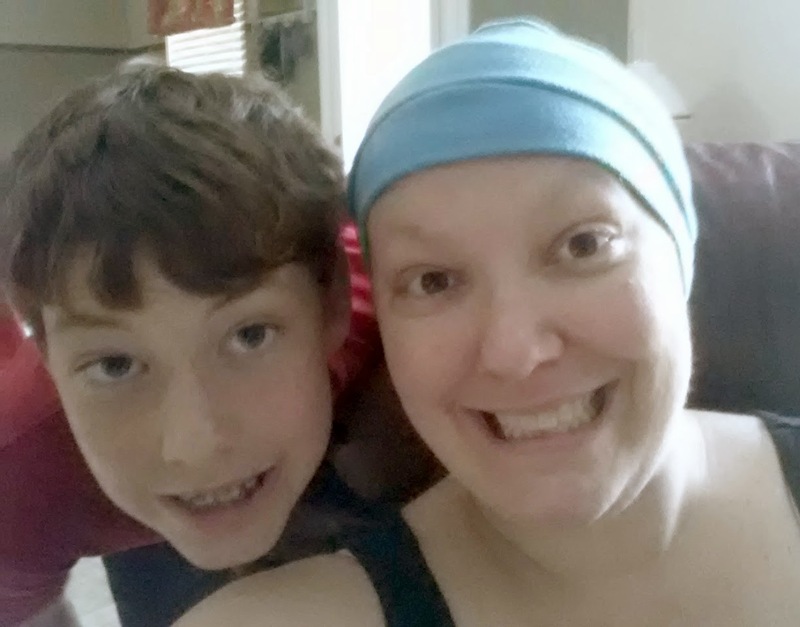 The doctor's visit was brief and I was sent on my way to chemo, as my blood work was clear. Time to kill cancer! I have to admit my company for chemotherapy has been outstanding. I have been able to actually laugh and enjoy what could be a tedious process. Sometimes we laugh a little too loud - causing curtains to be closed. Sometimes we laugh til crying occurs - causing odd looks given our way. I would not want it any other way! We make the best out of our time, because in a few minutes or hours I am going to be in some major pain. 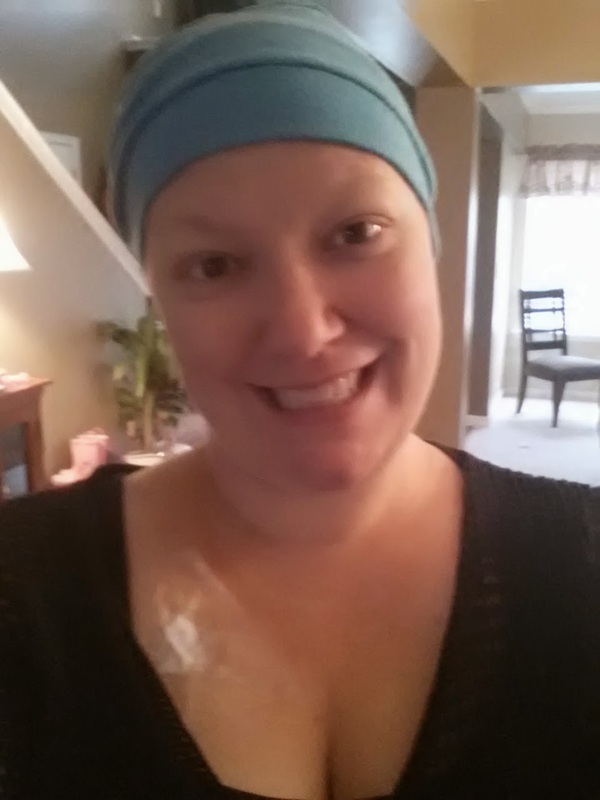 As Taxotere has progressed, so has my reaction to chemo. The more it accumulates in my body, the more the side effects accumulate and react faster and harsher. Usually 30-45 minutes into treatment I feel the throat sores beginning to start. The nausea has increased and comes on soon after treatment. Even though my anti-nausea medicine has been increased, I am dealing with a cycling stomach, vomiting, diarrhea, & other stomach cramps hours after treatment. That physical discomfort lasts well into the week - taking days and days to get over. Of course there are more complaints, but I take my pain pill while leaving the cancer center and know that it will only block only a tiny amount of side effects coming my way!!! Severe throat sores – check. Stomach churning nausea – check. Back breaking pain – check. Swelling aka edema – check. Intensified hand shaking & body twitching – check. 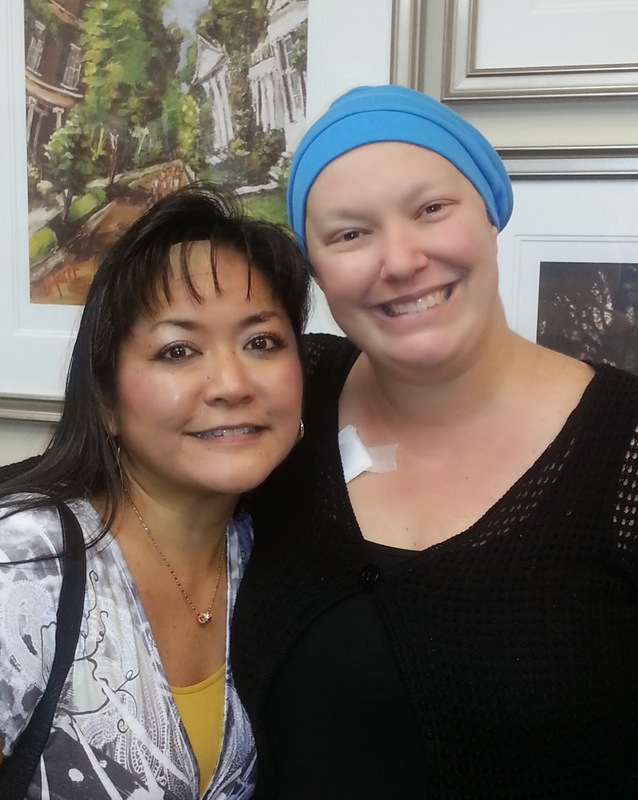 Daily chemo side effects – check. Maintaining positive attitude – check. Thank goodness for my crazy sense of humor. It has really gotten me through some really tough days --- tough even if I was not dealing with cancer. That includes both kids having strep multiple times, as well as trying to fight it off myself. Along with the side effects lingering longer and pushing harder on my body. I am so grateful that I can laugh at how difficult it can be. With the ever pressing physical discomfort it has become more difficult to rebound. Each treatment pushes me further out until I am back up on my feet. The added illnesses only lengthen my time down. Through the pain, through the challenges - I fight on - I laugh on.